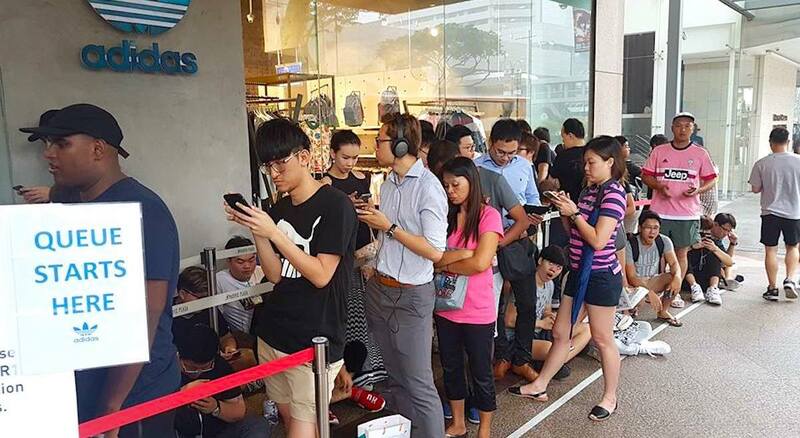 Thanks to our ‘kiasu’ Singaporean culture, I think it’s safe to say that we are obsessed with queueing for almost anything and everything. 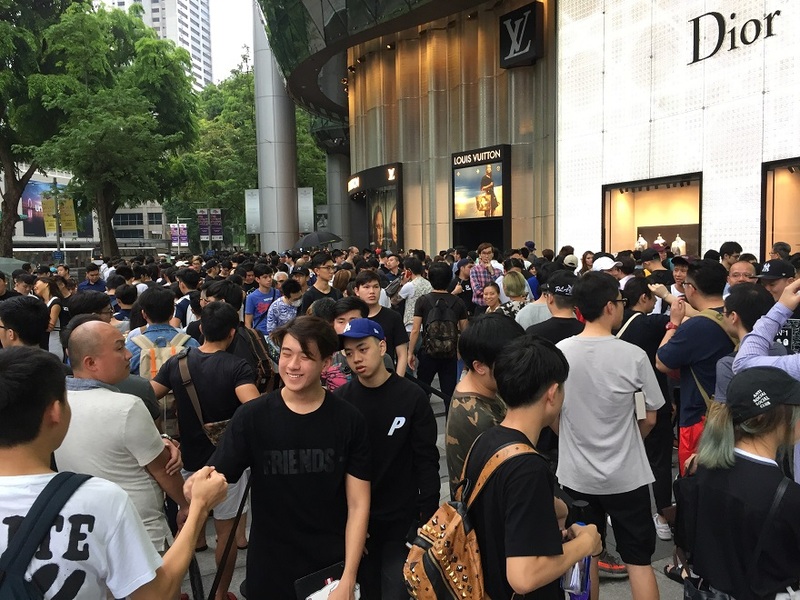 We have no qualms about joining that snaking queue as long as we can get our hands on that limited edition McDonald’s Hello Kitty plushie, the latest iPhone model, or even a cup of Gong Cha bubble tea. Banking on this national ‘hobby’, two Singaporeans – Jeffrey Tan (28) and Zin Nu Aye (25) – decided to come together to start up an on-demand queueing service, which is already rampant in other busy cities such as New York and Beijing. “The idea started when Jeffrey and I noticed that in the busy city of Singapore, people often have to take time off from work or personal responsibilities to queue for things they love, such as concerts tickets or limited edition items,” said Zin. iQueue’s concept is just like a simple trade – money for time, but more service-oriented. We can queue for almost anything under the sun that Singapore can offer. 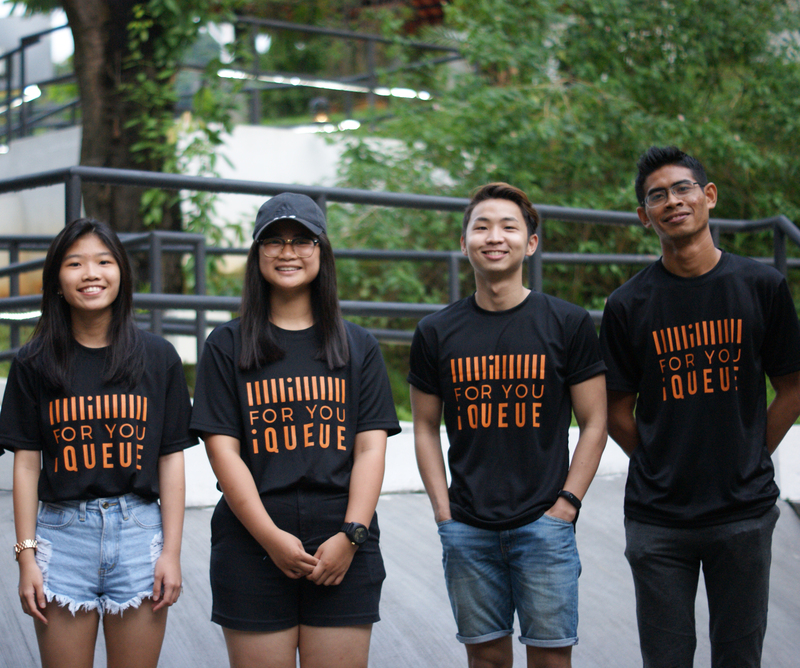 Founded in May last year, iQueue offers six queueing packages which start from $20 an hour, to $350 for 24 hours. At a lower price point, its ‘Queue & Replace’ service allows the buyer to arrive at a later timing to swap out the queue position of the service provider. 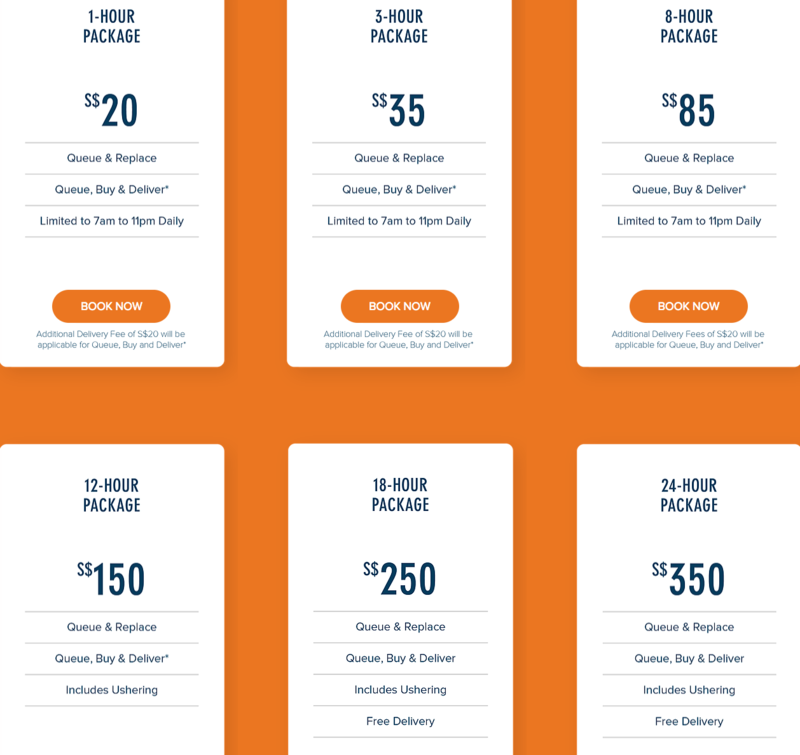 The other option, known as ‘Queue, Buy and Deliver’ has the professional queuer purchase the product for you as well for an additional fee of $20. And like any other service, a form of guarantee – a 40% deposit – has to be paid upfront. Full payment is only made when you replace the queuer. In turn, the queuer will provide “live photo and video updates” to the customer every 15 minutes. iQueue currently employs a team of 30 professional queuers, who are mostly students. “Some are working adults too, and we [welcome] anyone who wants to earn extra money during their free time,” said Zin. These queuers would help customers stand in line for highly sought after items like concert tickets, mobile phones, and limited edition sneakers, to more regular items like famous local food. Recently, they’ve gotten more unique requests such as queueing up for doctor consultations and even school registrations. To date, the longest queue they’ve joined is for Bruno Mars and The Script concerts, which saw them waiting in line for 24 hours. Their first job when they launched in May is to help customers secure tickets for the in-demand Ed Sheeran’s concert at the Singapore Indoor Stadium. But from the start, they were already hit with a road bump and was faced with an unexpected manpower crisis. Out of the 20 requests, they only managed to fulfil 13 as some of their part-timers did not turn up. Bearing this hard lesson in mind, Zin is now stricter in hiring as such lapse can result in customer dissatisfaction in their service. 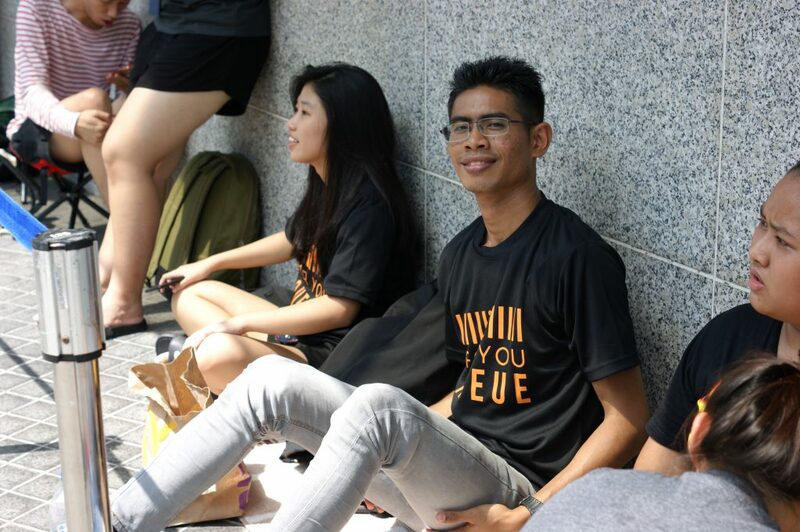 18-year-old Syahir Tahir was one of iQueue’s professional queuers. He had to put his studies on hold due to financial problems, and was working part-time under iQueue to earn a quick buck. In an interview with TODAY, he recounted his first assignment back in July 2017, when he had to queue overnight for the Louis Vuitton x Supreme collaboration. Foreseeing the long hours of waiting, he came armed with a fully-charged phone so he could occupy himself, as well as a floor mat and cushion to keep himself comfortable. But the job is really isn’t as easy as it sounds. He was chased away by the mall’s security staff and had to loiter elsewhere nearby so he could race ahead of others to clinch a good spot in the queue once the staff started setting up barriers around 5am. Describing the job as “interesting”, Syahir said that he has earned nearly $600 from 12 assignments so far. Apart from dealing with fatigue and boredom, as well as Singapore’s erratic weather, Tan said that his staff has to be resourceful in finding ways to get around the queueing systems imposed by malls and the businesses, or when preferred items of a customer get sold out. They also have to be ‘on the ball’ and make an effort to follow rumours of product launches closely. “It was very quiet when we launched as we did not have any marketing knowledge,” said Zin. Within its first three months, they received an average of 10 orders a month, raking in a monthly profit of about $500. But business has slightly dwindled, and they only receive 5 orders a month now. Nothing is easy; and as a business owner, we need to know when to pull the plug. But for now, it’s still manageable. She added that she re-invests the earnings back into the business to boost their marketing efforts, as well as to purchase items such as blankets and pillows to help their staff feel more comfortable on the job. Both Tan and Zin were not too worried about declining profits as they also draw stable monthly salaries from their full-time jobs – Tan works in the customer service industry, while Zin is a graphic designer. But Tan has recently left the company due to “job regulations”, and Zin is now running the company alone. Looking forward, Zin hopes to go into the business full-time, and expand their team of queuers to 50. She is also keen on developing a mobile app where clients can easily engage their service and “get the process done within five minutes”. Albeit a niche service, Zin is confident that their service will still be in demand among Singaporeans. As long as there’s a market for lazy people willing to spend money on comfort and convenience (just look at food delivery services like Foodpanda and Deliveroo, as well as ride-hailing services such as Grab and Uber), such on-demand services will definitely sustain. When asked to impart some business advice for fellow startup entrepreneurs, she said that it’s important to constantly “improve and adapt”, and “to never stay stagnant for too long”. Obstacles may come in the way, but don’t be afraid to put your ideas out there and keep on striving for what you believe in.